JJ IN DA HOUSE: Kayak Kayak (Canoe) Waaahhh!!!! Very The Fun!!!!! Kayak Kayak (Canoe) Waaahhh!!!! Very The Fun!!!!! A day out with the Shouters! 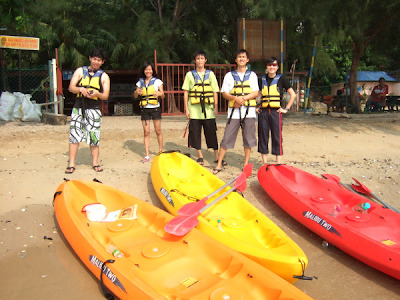 Me, Lasker, Thily, Wendy, Hugo & Hugo's brother woke up early in the morning and went to this Penang Water Sports Club for some kayak-kayak-ing! So we've met at MCD Sunrise at around 8.30a.m. We had our breakfast and we just head there! We reached, discussed and paid RM24 for 3hours of kayak-ing. Then we keep all our belonging nicely. Put on our life jacket, and we just go ahead! 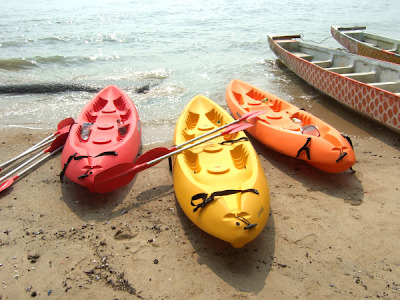 There are all 6 of us, so 2 person will share one canoe. 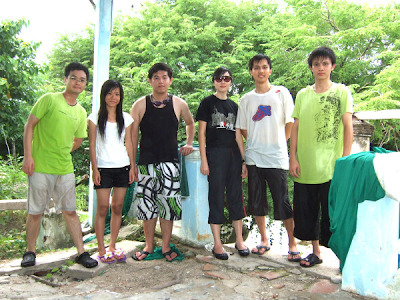 We were having fun and it is really fun but not when we reach the "Pulau Tikus" and get down. It was a near death experiences helping each other to get up and pick back our slippers because we were surrounded by the rocks. We pulled up the ship when we reached the island. When we were about to leave that island, my slipper broke. 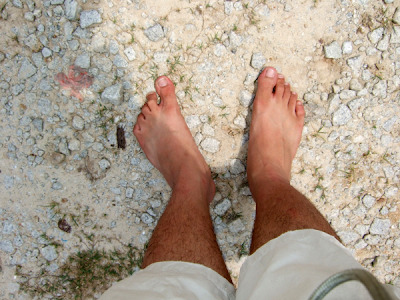 So i bared my foot until we reach the beach again. And when we reached the beach, Thily's turn to break her slipper =.="
After that we were so hot and we went to bath, the feeling of the cold water splash on you from your head to your toe is AWESOME! It really cool down you mind, your soul, your body, and maybe your screws too! Then we went to Midlands Plaza and i bared foot walk around looking for slippers =___="
So me and Thily bought our slippers and we had lunch at Sam Hui Cafe. It was so fun and exciting! Perhaps, we can organize it again next time by gathering more people? I came home, bath again, and i found 9cuts in total on my both hands, and 6 scratches on my legs. my name is not theng theng ok? = ="
Indeed, it is very the fun. We should do activities like this more often .. the hard part is waking up in the morning nia .. but once you arrive .. very the fun. Fulamak! 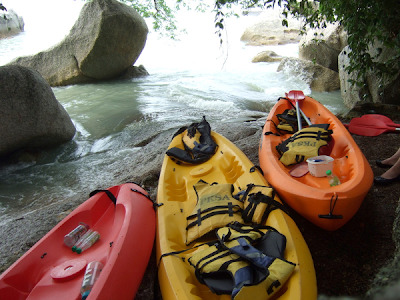 Dude, which part of Penang u went for Kayaking? Lasker, very the tired leh =.=" but really exciting and fun! TZ, Penang Water Sports Club, somewhere at batu ferringhi there. lu sendiri tak mau come! Have You Try Chill Soya Pudding Yet? Happy Birthday To The Brocolli!